Don’t assume your dark under-eye circles are always from a lack of sleep. There are many reasons why dark circles might form under eyes including age, heredity, allergies, sleep deprivation and stress. In this blog, Joel Schlessinger MD discusses the different causes of dark circles and what you can do to minimize them. Dark circles under eyes are often considered a sign of aging but they can also be hereditary, Joel Schlessinger MD explains. As we age, the skin around our eyes becomes thinner and more fragile, exposing tiny blood vessels beneath the skin and creating dark circles. The shadows you see are actually blood flowing through the veins that are located just below the skin’s surface. Loss of elasticity can also contribute to dark circles. As skin loses its ability to regenerate, dark circles become more prominent no matter how much beauty sleep you’ve had. Darkened pigmentation under the eyes can also be hereditary. Under-eye circles can run in families so, if your parents have them, chances are you will too. Joel Schlessinger MD recommends his favorite products for minimizing the appearance of dark circles. The best way to minimize dark circles is to treat the area before concealing discoloration. Joel Schlessinger MD recommends SkinMedica TNS Eye Repair to treat existing damage and prevent future signs of aging around the eyes. This treatment contains growth factors, antioxidants and proteins to diminish dark circles, hydrate dry skin, minimize crow’s feet and soothe under-eye puffiness. Then, cover dark circles with a concealer that offers additional anti-aging benefits. Teamine Concealer camouflages dark circles with a sheer, natural finish. This concealer contains vitamin C and licorice extract to brighten skin while troxerutin strengthens capillaries to prevent future dark circles. Its anti-aging formula also includes ingredients like peptides, green tea extract and grape extract help minimize other signs of aging. Those of you who have spoken with me in the last two to three years have probably heard that the Ulthera® ultrasound laser is rapidly becoming the gold standard treatment for lifting and tightening mild to moderate skin or fat sagging of the face and neck. Anyone who has been pregnant or had any internal issue knows that ultrasound waves have been used safely, painlessly and effectively to image and diagnose a variety of normal and abnormal medical issues. Ultrasound devices, which penetrate into internal organs such as the uterus, kidneys and heart, have been proven safe and effective for 50 years. The Ulthera® laser harnesses the power of ultrasound waves delivered at a very precise depth of deep (dermal) skin and subcutaneous fat to tighten the fibrous connective tissue in those areas. The first model of the Ulthera® laser was effective, but painful to deliver. Knowing that the device would improve, I now perform Ulthera® treatments using the updated version of the laser, which only requires Tylenol® or Aleve® (we can discuss which one is right for you) 30 minutes before the procedure. Who are the best patients for Ulthera®? If you have a thin face/neck/body and are starting to notice mild or moderate sagging skin only (without underlying sagging fat), then Ulthera® is a great treatment for you at any age, improving skin tightness by about 50 to 70 percent in one treatment, which may persist for three to five years! If you are in your late 30s or 40s and are only 15 to 20 percent heavier than your ideal body weight, the Ulthera® laser can tighten skin and reduce fat in the neck, cheeks or body by about 50 percent in one treatment; results should persist three to five years, if your weight remains stable. If you have had a face or neck lift in the past three to 15 years and feel that you need a “touch-up,” Ulthera® may be the perfect nonsurgical option for you. Those who are more than 20 to 30 percent overweight or have severe skin sagging are not good candidates for the Ulthera® laser. The logistics of Ulthera® are great. The treatment takes about 20 minutes, and Dr. Jegasothy has personally perfected the “least painful” protocol for every area. There is mild swelling in the treated area for one to two days. Then you will return to baseline, and notice a slow, gradual tightening and lifting of the treated area from months one to six, when you will achieve your maximal improvement. Do you have a question for Dr. Jegasothy? Share with us in the comments. 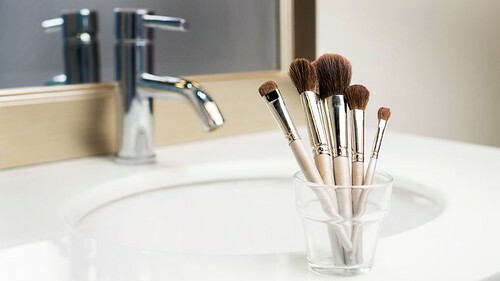 Most people who wear makeup every day or shower at night are used to cleansing their faces before they go to bed. Why then, if you just washed your face before bed, do you have to cleanse it again in the morning? Dr. Joel Schlessinger is here to answer that question. According to Dr. Joel Schlessinger, your skin is active while you sleep. As we sleep, our skin takes advantage of this time to naturally rejuvenate and heal itself. Cell turnover is active while you sleep, which is why many skin care professionals suggest using a night cream. With this cell turnover, however, comes dead skin cells that remain on the skin’s surface and lead to a dull appearance. Cleansing in the morning removes these dead cells to keep your skin looking healthy and vibrant. Cleansing your skin in the morning is also extremely important to prepare the complexion for your other skin care products. Properly removing excess oil, dead skin cells and debris in the morning allows your anti-aging, acne or treatment products to absorb more easily into the skin. Sweat and oil can accumulate on the complexion as you sleep, says Dr. Joel Schlessinger. If you’ve ever woken up with a layer of shine of your face, it may be sweat that is the result of temperature changes throughout the night. If left on the complexion, sweat can harbor bacteria and clog pores so it is important to cleanse your skin after waking up. If you have oily skin, sebum can collect in your pores over night so using a cleanser in the morning is especially important. A gentle yet effective cleanser such as SkinCeuticals Purifying Cleanser can help clear pores and refresh your skin in the morning. You can also use a cleansing device such as the Clarisonic Mia2 Sonic Skin Cleansing System to gently exfoliate the complexion and unclog pores. Questions for Dr. Joel Schlessinger? Ask him in the comments! Long lashes are a staple of just about everyone’s makeup look. New research shows that lashes are not only about looking good, however, they also help protect eyes. Here, Dr. Joel Schlessinger shares an article describing Dr. David Hu and his study to help determine the purpose of eyelashes. One huge benefit he discovered was that lashes help protect eyes from dryness. Dr. Joel Schlessinger notes the importance of this study and how it affects our understanding of lashes. Throughout the study, Dr. Hu examined the lashes of several different species of mammals and found many similarities. For the majority of species, the lashes were about one-third as long as the eye is wide, which is the ideal length for diverting air flow around the eyes. By diverting air away from the eyes, the lashes help prevent them from drying out which leads to itching, irritation and redness. LATISSE® is a favorite of Dr. Joel Schlessinger for increasing lash length. Patients who experience dryness of the eyes may benefit from using LATISSE®, a prescription product that is proven to grow longer lashes. LATISSE® has many benefits and uses which is why Dr. Joel Schlessinger often prescribes it to his patients. Dr. S. Manjula Jegasothy, a board-certified dermatologist and cosmetic surgeon, also notes the importance of LATISSE® for patients. LATISSE® can be prescribed by your dermatologist to improve the thickness, length and darkness of lashes. 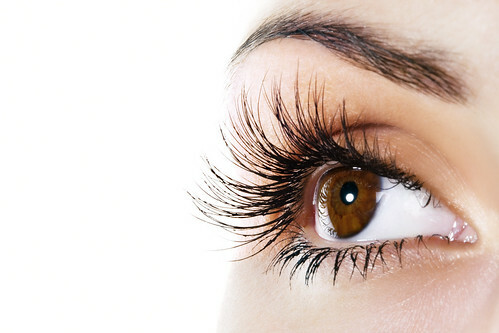 There are also several non-prescription products that help keep lashes healthy. RevitaLash Advanced Eyelash Conditioner contains peptides and botanical extracts that nourish lashes and Jan Marini Lash Eyelash Conditioner creates healthier eyelashes with hydrating ingredients. While these products do not reverse or cure lash loss, they do promote healthier lashes that are less likely to become damaged. Questions for Dr. Joel Schlessinger? Let him know below in the comments.